We’ve changed the way you access our songbooks on the website. Our Resources Page now has tabs for Complete Songbooks, Index Pages, and then all the song sheets in their own categories. If you want to download a complete songbook, you do it from here. You’ll see that the Celtic songbook is tagged ‘Updated’. That’s because we added a new song recently. You don’t have to download the whole songbook to stay up to date. If you didn’t get the new song at one of our sessions just download it from the ‘Celtic’ tab. You’ll see the song tagged as ‘New’. Just download it and add it to your songbook folder. Of course your index page will be out of date so download the new one from the ‘Index Page’ tab. The version number is just the date we published the songbook or sheet. Most of the files are version 000000 – that just means they’re the very first originals. 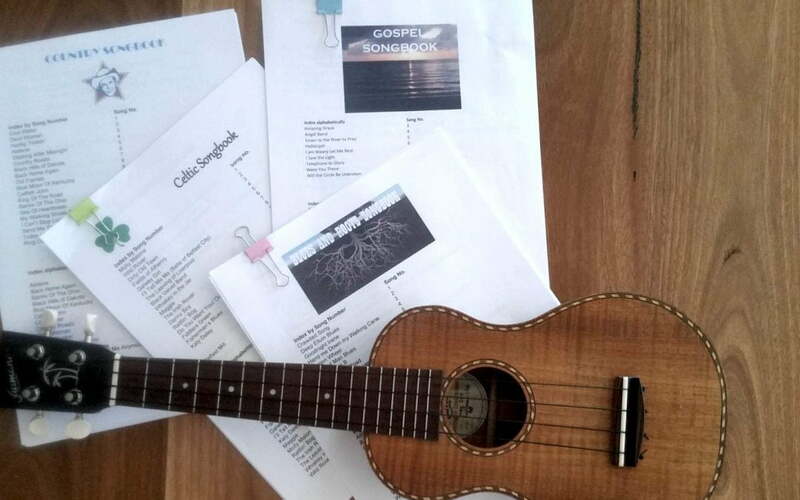 When we make new songsheets we’ll print a version number on them so you’ll always be able to see what version you have. These tags will show for a month after they’ve been added or updated, so you should have plenty of time to add them to your own files. We’ll also let you know regularly by email what books and songs have been changed.